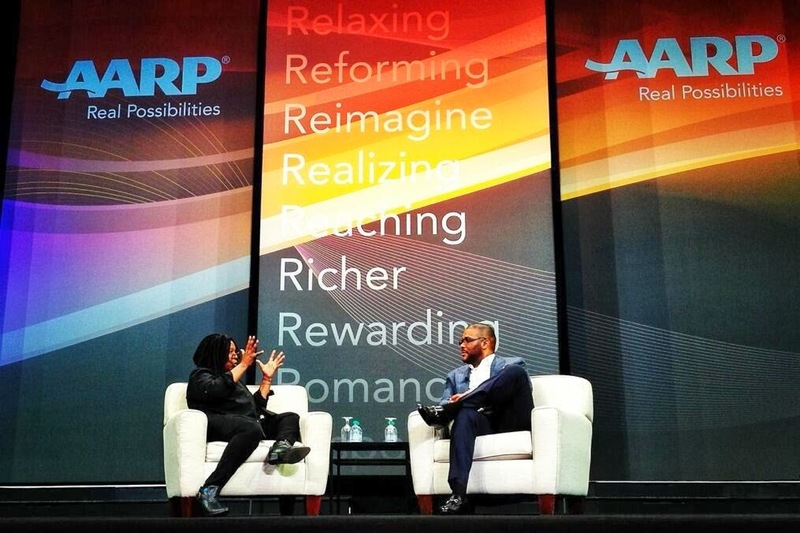 AARP Life@50 and Beyond - National Expo November 2013 - "New Tech with a Personal Touch. Learning new skills. " Hard copy in be published in PrimeLife Style of Alabama Magazine, October -November, 2014, "The latest Tech and what you need to know." Arm yourself with the tools and information you need to build the life you want, says AARP CEO Barry Rand. Whether you are a boomer crossing the bridge to eligible member, newly retired or a senior who has lived well into the generations beyond, it has never been easier to live your best life and create a life reimagined with real possibilities, as AARP suggests. Paint a legacy, write a journal or a personal memoir; become an entrepreneur, or, stay sharp with brain games. Celebrated each year in a different city, AARP Life@50 and Beyond annual events never disappoint and this year delivered plenty of fun and information to mull over until the next time. Planning ahead is necessary because of the number of activities and sessions. You might have to plan a workshop, for example, for the following day or miss it entirely. The AARP website has clear instructions on how to proceed and for a $25 entrance fee for 3 full days and nights -- it’s worth every dime of it. A special feature session honored the 50th Anniversary of Martin Luther King, Jr.’s I have a dream speech. Celebrity speakers and experts in every field conducted seminars, workshops and sessions on topics which touched on faith, health, science, travel, retirement villages, even gadgets which claim to make you feel better! Silver Sneakers instructors offered exercise classes and tips on how to stay fit. Small group training at the TEK (technology, education, knowledge) Pavilion took center stage for 2013 with tablets and apps. Seniors signed up to learn how. AARP TEK, Experience Tech with a Personal Touch, theme did just that –offered attendees time to learn to use gadgets and devices during training workshops. The lessons were two-fold – to connect and communicate. Young Tech Wizards taught hourly classes to groups of seniors whose skills ranged from beginner to expert users. The project, MentorUp, is designed to inspire younger generations to a life of service and volunteerism and giving back to their community’s older adults. Throughout the days, smiling faces travelled through the halls of Georgia’s World Congress Center in Atlanta as buses rolled in and out of designated stops, picking up and dropping off attendees with the red badges to and from their hotels to the Congress Center. All aboard – no charge! · Whoopi Goldberg and Tyler Perry; Travel Channel’s Samantha Brown; swimmer Diana Nyad; tennis star Martina Navratilova; Emilio Estefan, AARP’s Life Reimagined Ambassador and NFL Quarterback, Dan Marino is a short list of renowned famous people who showed up on the star studded runway. · Film festivities showcased several pre-release screenings followed by Q&A. Andy Garcia’s romance film entitled Middleton, along with film makers and cast members of Nebraska and My Father and the Men in Black. After some R&R time and dinner most returned for the evening entertainment. 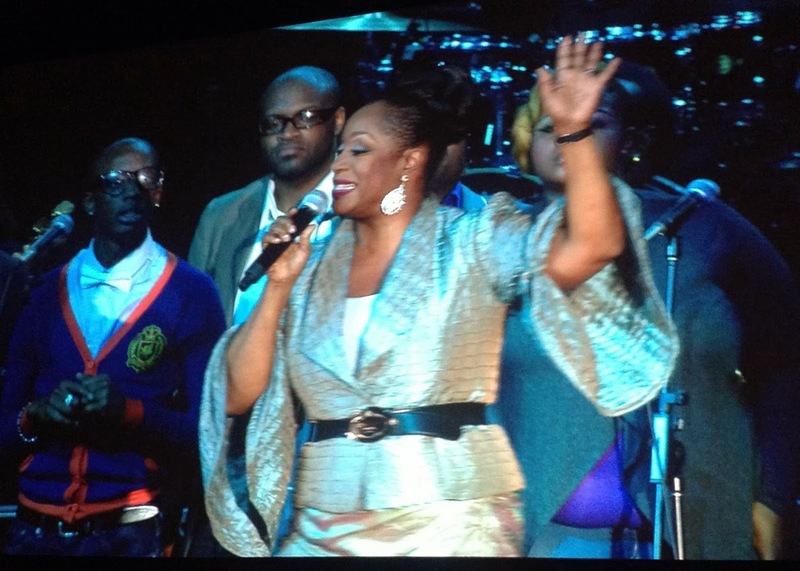 · Gospel concert opened Thursday night featured the legendary Regina Belle, Dottie Peoples and Sister Cantelope. · Friday evening, The Happy Together Tour, dosed us with a blast of rock and roll from the 60s to 70s. Gary Puckett and the Union Gap; Flo and Eddie from the Turtles; Chuck Negron, formerly from 3 Dog Night and Gary Lewis. · Gloria Estefan sang to a sold out house on the last night’s entertainment. AARP’s theme is clear – a life reimagined with real possibilities – and their mission to enhance the quality of life as we age serves as a good reference for “us” as we live life@50 and beyond to the fullest . Go to www.aarp.org for future events. For more info on exercise classes, go to www.silversneakers.com . You can download apps as well . Hard copy spin off in Prime LIfeStyle of Alabama.